Few days ago, I just came back from my 10-day vacation to the 50th state of Hawaii in the island of Oahu. 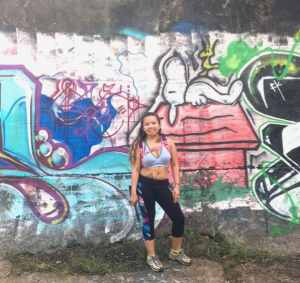 Going to Hawaii was always my dream trip since I was a little girl and growing up seeing it in movies and television shows inspired me to one day visit the state and after planning it 6 months ahead, I finally got to experience the Aloha life. For days, my friends and I were constantly craving food. You can’t go wrong visiting a place and going out to eat at their restaurants especially with some suggested local foods. With a lot of restaurants that we have visited, I decided to write about my experience there and what I ordered and I also gave the place a rating from 1-5 stars out of 5 stars. Maybe if you visit the Oahu Island of Hawaii, you might decide on what places to eat at after reading this! Located in the heart of the famous city of Waikiki, Bill’s was suggested towards my friends and I by a local (whom we started guessing was a surfer from his appearance haha). This happened to be my friends’ and I’s favorite restaurant by far from the trip. We tried to come back a second time around to grab some dinner there but we found out the whole place had been rented by Japanese people. This place, from what it seems, also seems to be the Japanese tourists’ favorite. 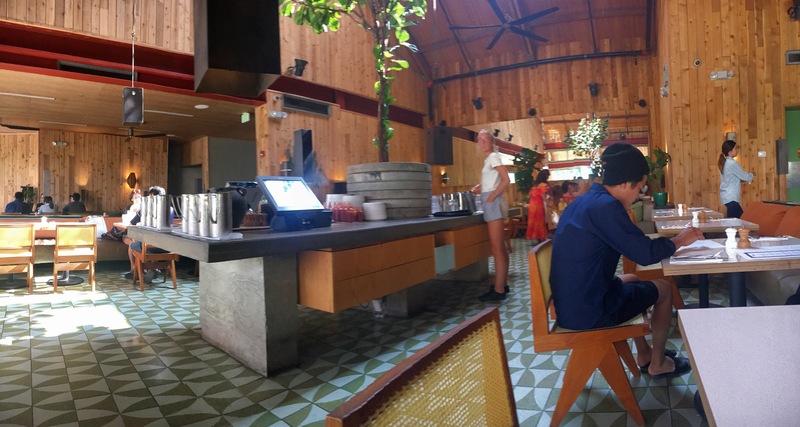 The whole place was a cute wooden “cabin”-like restaurant and you can even sit outside to see a nice view of the sunny weather with palm trees. The food here was great from the portion sizes to how tasty and light they were. During lunch time, I ordered a Sunrise smoothie, which I kid you not, tasted a lot like a Now Or Later candy and it was the most delicious smoothie I’ve ever had. For the entree, I had prawn and chilli linguine, garlic, and rocket, which I shared with my friend and we had kimchi on the side. Located outside the Royal Hawaiian Center in Waikiki, my friend’s cousin introduced us to this place called the Island Vintage Shaved Ice and claimed this is the best place to get flavorful shaved ice. The place is also known for making coffee close by their shaved ice booth. If you go to Hawaii, locals and everyone else will tell you to try shaved ice. It might seem like you can get shaved ice anywhere but the art of making shaved ice is different in the islands. The ice is creamier and melts right into your mouth. Island Vintage’s shaved ices are exactly like that; I had the limited edition flavor of Aloha Pineapple Mango. 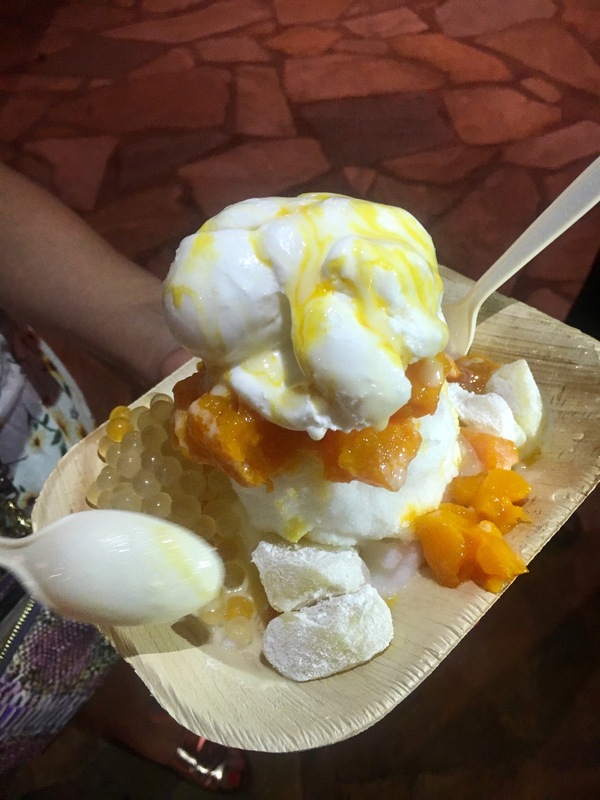 The shaved ice, placed in a recycle-able wooden plate, has consistencies of mango chunks, vanilla ice cream drizzled in pineapple syrup, lychee jelly balls, and huge chunks of mochi. This seemed to be a popular attraction in Waikiki and for people from the Mainland (this is a term for places within the United States, outside of Hawaii) since many of them that go to Hawaii will probably be looking for popping sports-bar restaurants. We were taken to Yard House by my friend’s cousin and while I loved the atmosphere of the place and they had great throwback alternative music being played that night; we didn’t expect the portions to be gigantic sizes!! The food wasn’t the healthiest bunch but it served as typical bar food and most of the food can probably pair up well with beer. 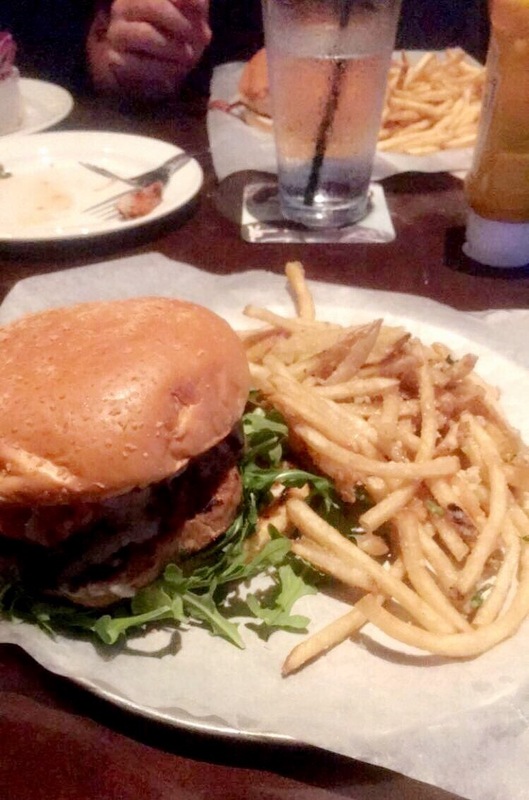 I had ordered a turkey burger with truffle fries (yum, one of my favorite type of fries!). 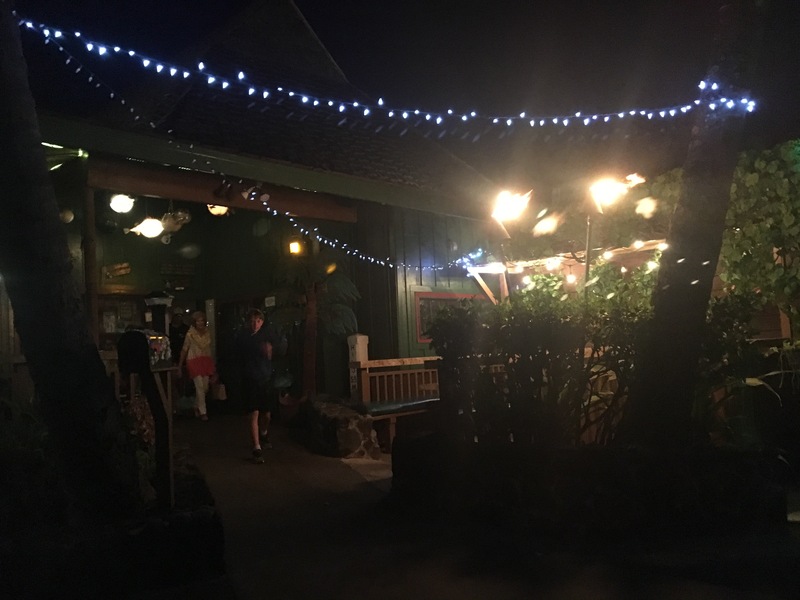 Located in Kailua and near the Lanikai Beach and Pillbox hikes, Buzz’s Steakhouse had an all Hawaiian-decorated dim-lit interior and exterior to it. Not to mention, their food was amazing but their menu can be considered quite pricey. 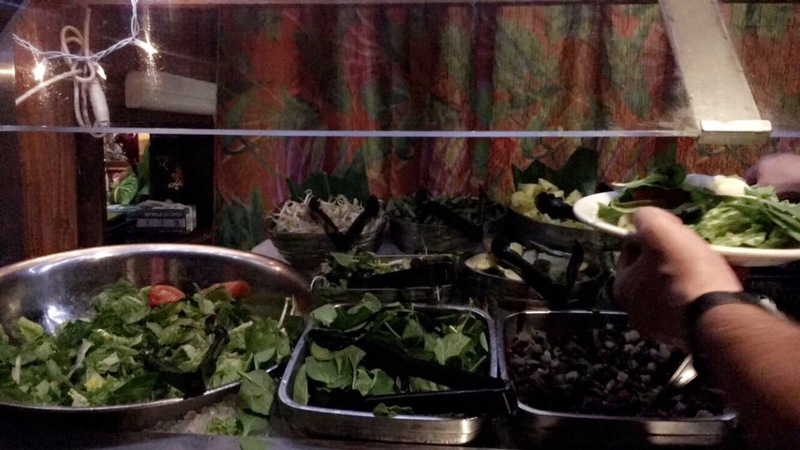 You can order an entree and with it, you’re able to have access to their salad bar. My friend and I split on the sirloin with mashed potato on the side. Everyone had ordered their own special drink; I had gotten the Lava Flow, which is an authentic Hawaiian drink (can be made into a virgin) that almost tastes like a strawberry shortcake but it’s with strawberries, banana, light rum, coconut rum, pineapple juice, and coconut cream. 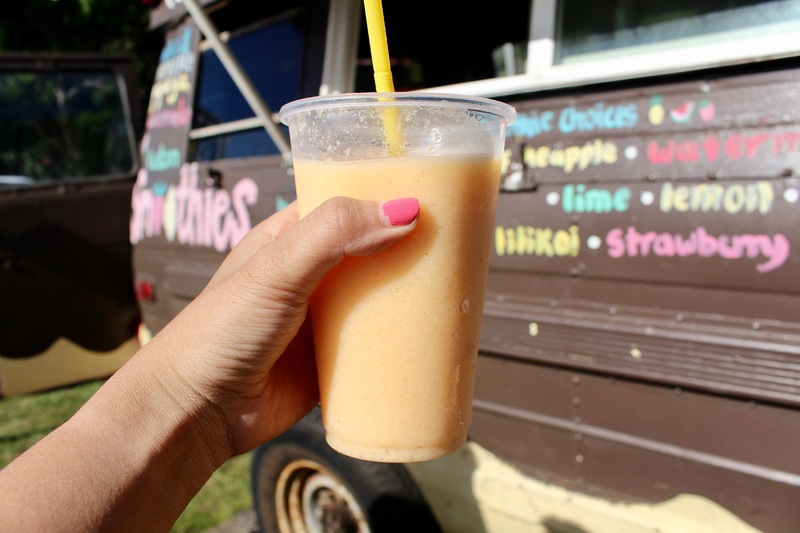 I remember one of my friends had gotten a virgin Lilikoi-Mango drink which was amazing from there. If you’re a mochi ice cream lover like me, this is the place to go. 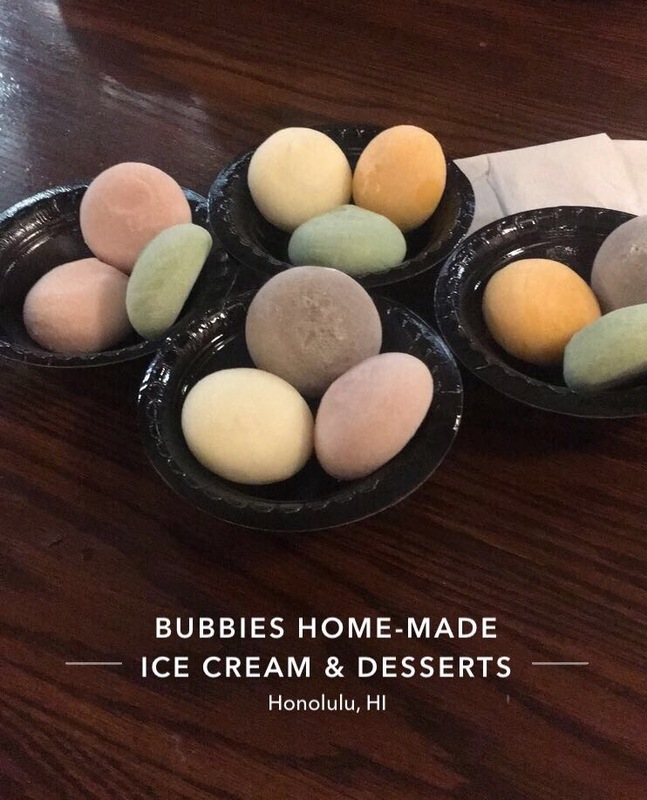 You might have had mochi ice cream on the Mainland many times before but what sets this place different is everything there is homemade and made from scratch. If you’re not into mochi, they have regular ice cream that you get by the cup and you can also add toppings with your ice cream. The flavors I had when I went there were Lilikoi (Passion fruit), Azuki Bean (Red Bean), and Green Tea. This is a place that you will obviously find in the Mainland and you’re probably thinking “How is this any different?” Well, Jamba Juice there was quite different (in fact, there’s a website specifically from Hawaii by them). They still, of course, sell smoothies but the flavors were exotic and ones you can’t find outside of Hawaii. The exotic flavors they have would have fruits based on what you commonly find in Hawaii (guava, passion fruit, pineapple). My friends and I would opt for Jamba Juice on the way to the bus stop near our condo in Aiea, Hawaii. I mean, the weather in Hawaii was always so hot and humid, having a smoothie really refreshes and wakes you up. 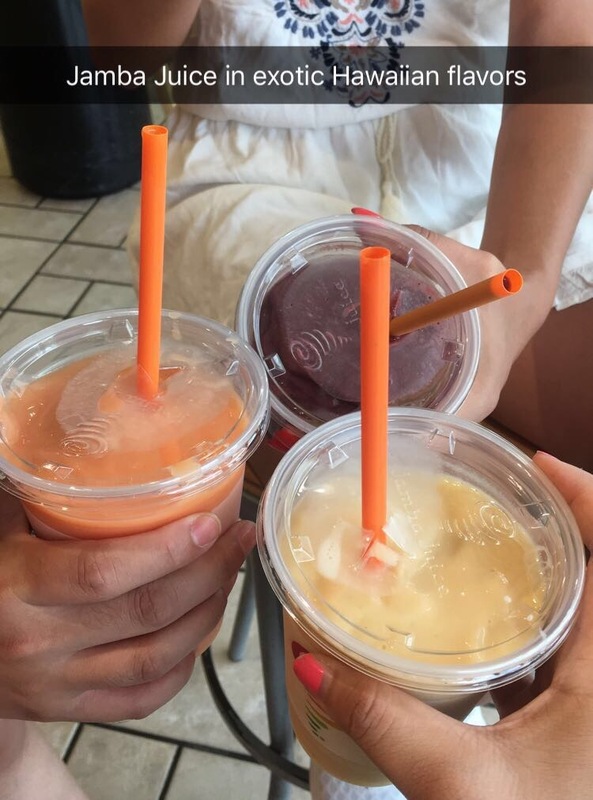 The Jamba Juice we would go to would conveniently be located right next to Starbucks and you can read up on here on why Jamba Juice and Starbucks make a great pairing from right next to each other. 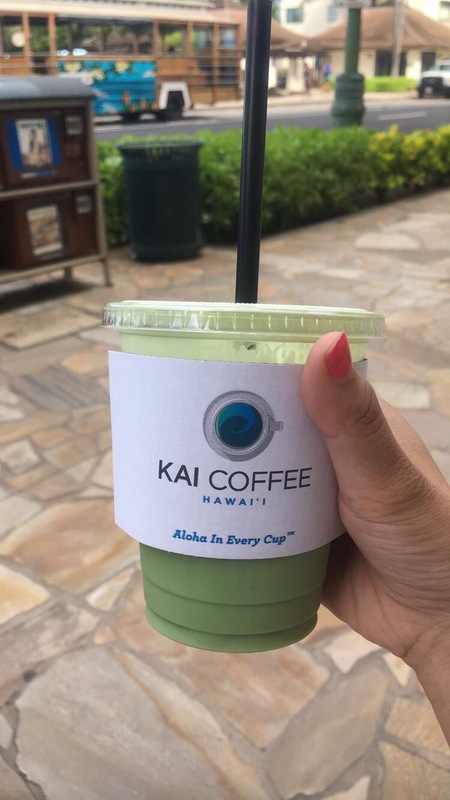 Before my friends and I set out for a city tour arranged near the Hyatt Regency Hotel, we really needed to get some caffeine to wake us up for a day full of Pearl Harbor and a city tour. We discovered Kai Coffee Hawaii, a modern coffee shop. The menu seemed to have a variety of locally grown and handcrafted coffee. My friend picked up one of their cold-brewed drinks and claimed it was really good and did the job. I got myself an iced Green Tea latte (I’m a sucker for green tea lattes and matcha everythang!) and I can also say that my drink was able to wake me up, not to mention, it was super tasty. I also loved their saying “Aloha in Every Cup” and I couldn’t agree more! Dole, the famous fruit company throughout the United States, started right here in Hawaii. There’s a restaurant within the plantation and it’s called The Plantation Grille. 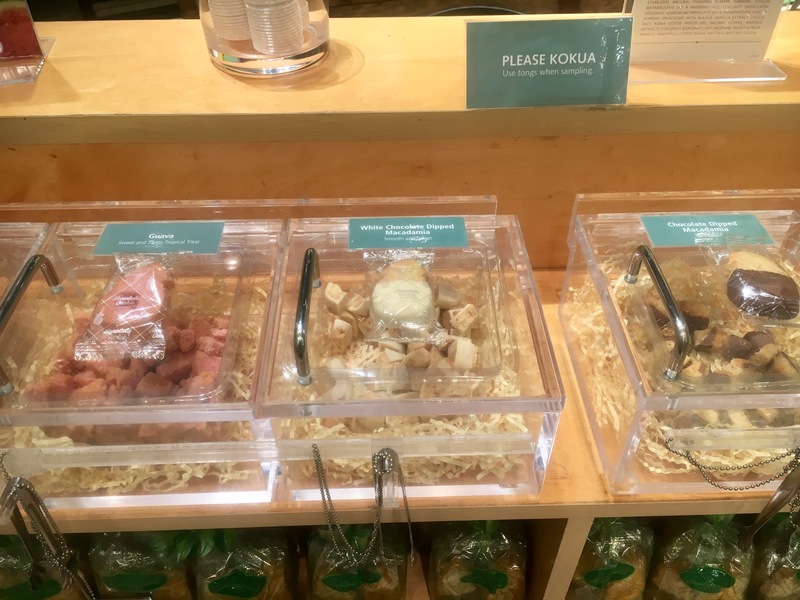 After taking the Pineapple Express train tour around the plantation, my friends and I were really hungry, so we went to the only place that we could get our hands on on fresh food at The Plantation Grille. They offer traditional American foods like hot dogs, cheeseburgers, fries, and salads but they also offer Hawaiian dishes. Knowing how excited I was to try Hawaiian foods, I ordered myself a Kalua BBQ Pork sandwich combo. It was really good but I have to say, all of our foods came out in gigantic portions!!! I’m not a big fan of huge sized portions for foods, which sometimes throws me off. Of course, you can’t miss out trying the famous Dole Whip, which is soft-served pineapple flavored ice cream. It’s honestly amazing and I can see what the rave is about on it. My friend and I shared it in a pineapple-designed cup and it had pineapple juice around the ice cream. You can get it other forms like a sundae split or on a cone. If you want to find Japanese foods around Honolulu, you won’t have a problem finding them at all since they’re everywhere. One of the places we came across to fulfill our ramen cravings was Ramen Nakamura. Don’t let the outside fool you because it may look like a small place that you would probably pass right by without looking back but in my experience, my friends and I saw a huge line lining up at night just to get a taste of Ramen Nakamura. When we lined up ourselves and finally got in, we came into a small room with a rectangular table counter for the customers to eat around on. With a 4 star rating in TripAdvisor and Yelp, you can ensure great quality food and service. I had ordered the Shoyu Ramen, which was the top order along with their Ox Tail Ramen. Their ramen was super good and I liked it so much, I finished my whole bowl (beside all of the soup remaining). The place also caters to the Japanese customers because they accept Yen. Before heading to the bus stop, my friends and I were always curious about this restaurant and always saw people going in there. Anna Miller’s, from the outside, looked like a cute quaint restaurant and in the inside, you might just end up in a busy place that had the feels of an iHop restaurant. We didn’t see a single iHop around except for one in Waikiki so we thought this was going to be our ultimate brunch spot. The place was cute because the waitresses were dressed in Dutch dresses and majority of the place had a Dutch feel to it. I was always hearing about the Hawaiian dish called Loco Moco, which is basically two beef patties smothered with gravy, rice, and sunny side up eggs so I ordered that with a side of spam (because I love Spam as much as Hawaiians do!). I also ordered an iced coffee (to wake up of course!) and a Macademia Nut flavored pie (they had a huge variety of pies and if you didn’t know already, Macademia is BIG in Hawaii). When I got the Loco Moco and tasted it, I didn’t think it was all about the rave but I figured I probably got a bland version of it. It just didn’t have much flavor to it as I expected, at least in Anna Miller’s. The Macademia Nut pie, however, was the bomb and it melted right into your mouth as you bit into it with a hint of crunchy Macademias. Duke’s Waikiki is a restaurant, themed with Duke Kahanamoku’s pictures and honorary achievements, right next to the Waikiki Beach, where Duke spent his life surfing and swimming around there at. If you go to the beach and see that famous statue of a guy with a surfboard and his arms out (usually decorated with lei’s), that’s him. We went there after a Lyft driver suggested the place to us and while were hoping to finally try the famous poke dish, we ended up ordering other things. Mind you, this place is pretty pricey and it’s hard not to see since it also has a beachfront view. 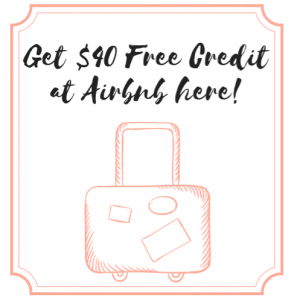 Upon arrival, you can see Duke Kahanamoku’s personal pictures, vintage Hawaiian posters, and there was live music entertainment under the dim environment. The place was pretty busy too. My friend and I split the Coconut Ginger Braised seafood, which had scallops, fresh island fish, shrimp, vegetables, and rice. When I got the dish, it was really good but it reminded me a lot of the way my mom made her shrimp curry, which isn’t bad but I was hoping for a slightly different taste. Because of how pricey it was, I did not end up getting a tropical drink to go with my dish and just opted for water. Also, the menu did not have a variety going on and was very short, at least for the dinner part. The service was exceptional though. Another one of my favorites, located in Waikiki (we explored a lot of Waikiki at night because it was always a busy and fun place to go to! ), is Heavenly. The menu, from the looks of it, looked to consist of organic and healthy foods, which I honestly really like. I ordered the Hawaiian Pho Noodles with the “Energy” smoothie because I was really tired and worn out and have been craving for a smoothie that whole day. While waiting for the foods to come, I couldn’t help staring at the cute airy island decor they had going on in the restaurant. All of us shared an appetizer of potato chips with their delicious guacamole. My friend had ordered a Lilikoi (Passion fruit) soda, made by the Waialua Soda Works Co., and it was the best fruit soda I’ve ever tasted for that second (I’m hoping to order their 12 pack one through Amazon one day with the same flavor LOL). Before leaving for our flight, my friend’s cousin had treated us to some Korean BBQ. Stadium Camellia Restaurant is an all-you-can-eat Korean BBQ and buffet. I have never went to a Korean BBQ and I am lucky to say this was my first experience on it right in Paradise. As soon as you walk in, you can see bulletin boards displayed of pictures of customers who were 90 years old and older (those “super seniors” get to eat there for free). My friend’s cousin had picked out the meats to cook for us and they were really tasty. You can also pick up their already pre-cooked dishes like crab, fried chicken, noodles, etc. I really enjoyed the dessert of Azuki Bean Mochi pudding that they had.